Obituary for Robert "Bobby" J. Hebert | Adams Funeral Home Ltd.
It’s with saddened hearts that we announce the passing of Mr. Robert Joseph Hebert "Bobby". 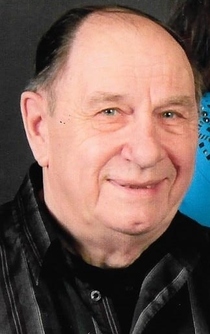 Robert passed away at the Miramichi Regional Hospital on March 25, 2019 in his 81st year. He was born and raised in Chatham, NB. Robert was born to Marcel Hebert and Roseline (Guimond) Hebert on March 29, 1938. He was the last immediate family to pass. He graduated the class of 1957 which was the last class to graduate from the grammar school, which is now district 16 Office. He celebrated his 60 year reunion with his fellow class mates in 2017. After school he joined the North Shore Regiment till he was 26. He lived in the USA for a couple of years and then moved back to the Miramichi to run the family business called Hebert’s Trucking and Hebert’s Bottle Exchange with his father and sister. Family meant the world to him even to his dying day. He was co-owner in Hebert’s Recycling and he was so proud of his family legacy in successful business. Robert worked at the Health Steel Mines for 17 years and also Hebert’s Recycling and then retired at age of 70. Robert was a member of Branch # 3 Legion for 50 years. He enjoyed playing 45’s, crib, darts and has a few trophies over the years to show for it. He enjoyed travelling with his beloved sister and his cousin Eleanor in his older years to Florida. He leaves to mourn his treasured children: Robin (Carla) of Fredericton and Monica (Paul Comeau) of Miramichi; his pride and joy were his grandchildren: Katie (Roman) of Moncton, Emily, Sean, Ryan of Fredericton; special grampie to Eric, Maddison, and Reanna; four nephews Robert Sargent (Debbie), Kevin (Carole Anne), Chris (Tracy) all of Miramichi and Randy of Calgary, AB; one aunt Evelyn Hebert (Late Wilbur); God son: Keith Richardson; great uncle to Melissa, Tari Lyn, Chelsey, Korey, Brandon, Tyler, Brooklyn and Eva Rose. Robert was predeceased by his parents Marcel & Roseline (Guimond) Hebert, beloved sister Rita Sargent, first cousin John (Jack) Fracker and great nephew Jordan Sargent which held a very special place in his heart. Special thanks to Dr. Losier, Miramichi Regional Hospital and Moncton City Hospital oncology department, Hospice Miramichi and Extra Mural Program for all of their exceptional, loving and compassionate care they gave our dad. Visitation for Robert Joseph Hebert was held at Adams Funeral Home Ltd., 140 King St., Miramichi on Sunday from 2-4 & 7-9 pm. Branch # 3 Legion attended a service held on Sunday evening at the funeral home. Mass of Christian Burial was held at St. Michael’s Basilica on Monday, April 1, 2019 at 11 am with Father Paul Doucet and Father John Keoughan as Celebrants. Music for the service was by Mr. David Bunnell and church choir. The hymns were "In the Sight of the Angels", "Shelter Me Oh God", "Like a Shephard", "He Will Raise You Up" and "Into Your Hands". Winston Curtis played "Amazing Grace" on the Bagpipes when the family processed into the church. Vickie Augustine sang an honor song and Stephanie Pothier read a poem "Dash". The scripture readings was read by Gerald Mullins and Jill Clark and the Prayers of the Faithful was done by Rev. Deacon Ted Quann. Honorary pallbearers were Keith Richardson, Justin Pothier, Kevin Bell, Louis Galliah, Archie Fracker, Teddy Quann, Chris Sargent and Chris Furgusson. Interment will be held at a later date.